On 4/27/1994, Tony Brooke and Cory Smith recorded the 6th annual Piano Night at Tipitina's in New Orleans, presented by the Professor Longhair Foundation. 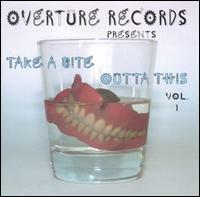 Two songs from that show, "Check Mr. Popeye" by Eddie Bo and "My Baby Don't Wear No Drawers" by Bruce "Sunpie" Barnes were released on the compilation "Overture Records Presents Take A Bite Outta This, Vol. 1." These two tracks were also released in 1995 on "Professor Longhair Foundation Presents Piano Night at Tipitina's 1994" on Overture Records.